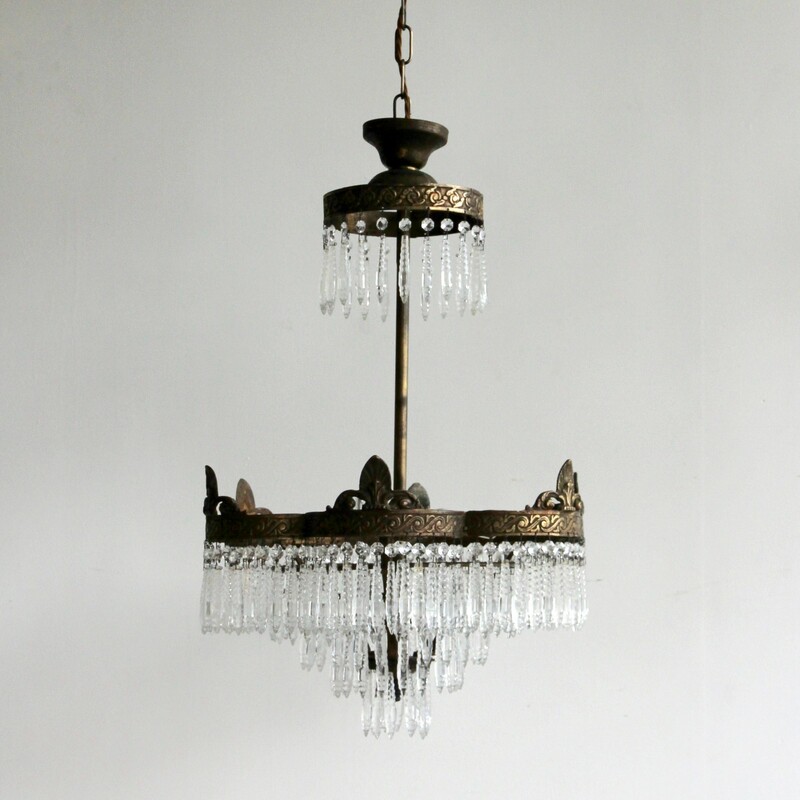 Early 1900s French waterfall chandelier dressed in faceted glass icicle drops. Chandelier uses six SBC, B15 bulbs. Supplied with chain and ceiling rose.